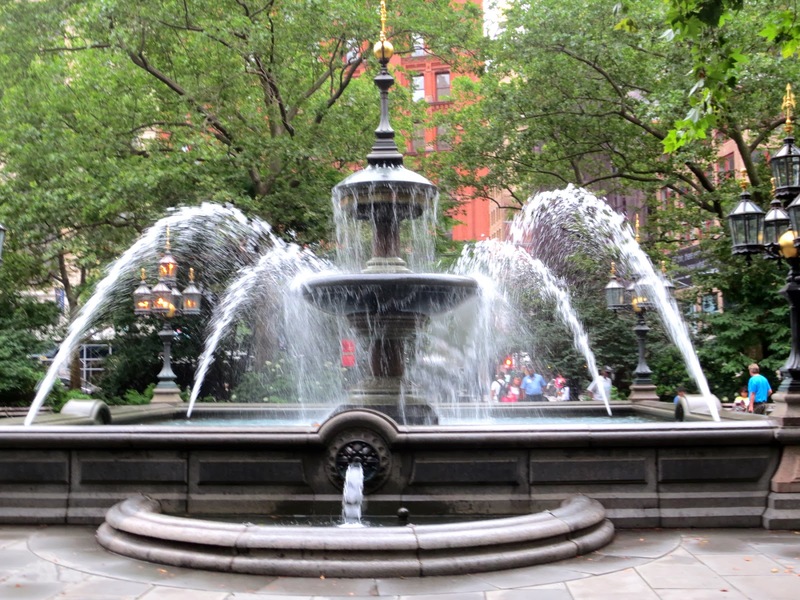 The first decorative fountain in the United States was built in City Hall Park, in New York City, in 1842. Manhattan is the island in the ocean and the supply of the fresh water was very limited. 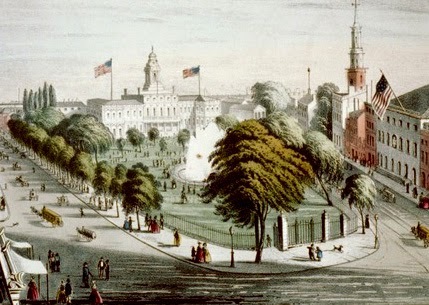 Before the aqueduct was constructed, residents of New York obtained water from cisterns, wells and natural springs. The Old Croton Aqueduct was built in 1842. It was able to carry 100 million gallons per day alone 41 miles (66 km) from the Croton River in Westchester County into reservoirs in Manhattan. The Aqueduct served residents until 1965. Comes with all her sparkling train. The City Hall Park fountain was a backdrop when a choir of two hundred members of the New York Sacred Choral Society sang "The Croton Ode" . In 1870 an architect Jacob Mould ( from Great Britain) was commissioned to design a new fountain. Mould studied for two years Islamic palaces in Spain and appreciated the Moorish style of architecture. He moved to the United States in 1852. In 1870-1871 he was architect-in-chief for the Department of Public Works. He also designed the Belvedere Castle in the Central Park , Manhattan. Mould worked on the design of the original Metropolitan Museum of Art and the American Museum of Natural History. Jacob Wrey Mould was also an avid pianist and organist. He translated numerous foreign opera librettos into English. His translations of operas (such as Beethoven: Fidelio, Bellini: Norma ) were published between 1847 and 1852, before his emigration from London to New York. Victorian City Hall Park fountain had a granite basin with semi-circular pools on each side and a central cascade. Four ornate gas-lit “candelabra” sat on the corners. 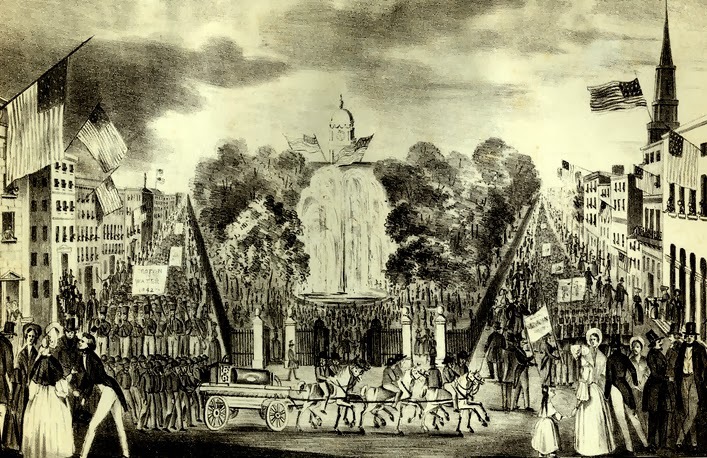 The park and Mould’s fountain were an enticement to tourists and New Yorkers. Throughout the 1870s people crowded into the park for free concerts. In 1920 Jacob Mould’s fountain was disassembled and shipped to Crotona Park in the Bronx. 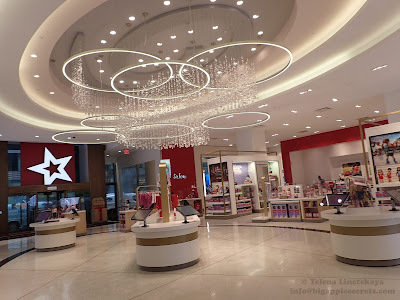 Another fountain was built on the same place…Read the end of the story in my next post!